This route begins at the unfinished LaSalle Turnout south of LaSalle Station. It continues on a disused rail right of way all the way to North Tonawanda. Provisions were made to expand this line to Niagara Falls. Currently, a rails-to-trails recreational path was established on the right-of-way. 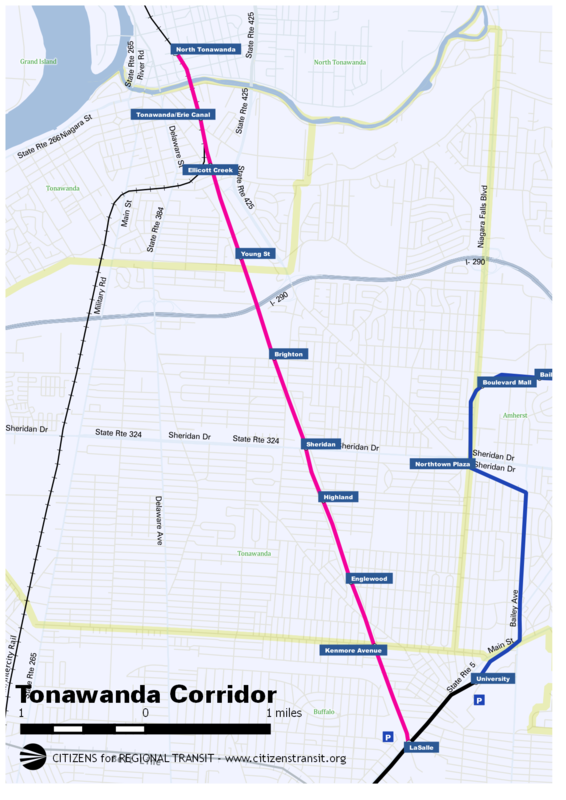 There is an option by the NFTA to reclaim the easement of the trail for future light rail expansion.